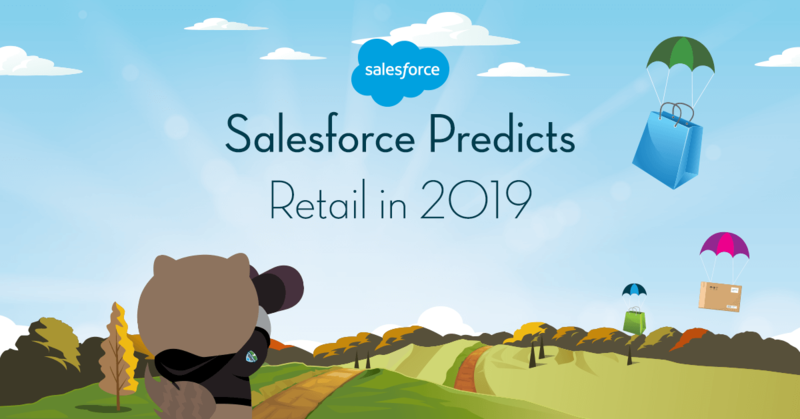 Welcome to our fourth annual Salesforce Predicts series, where our global subject matter experts predict where retail and commerce are headed in 2019. Despite some pockets of softness, underlying retail growth is strong. In fact, it’s rocking, having notched total year-over-year growth every month since November 2009. According to the most recent Shopping Index, ecommerce grew 17% in the third quarter; the U.S. Census Bureau reports that online commerce now represents 9.6% of total retail. We are optimistic and excited about where retail is headed. 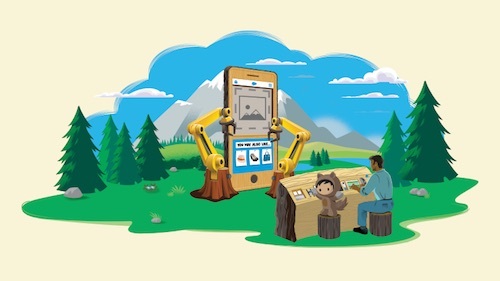 Brands are making the investments necessary to deliver experiences that modern consumers demand, and technology (including AI, data management, mobile, and more) is fast evolving to support those initiatives. 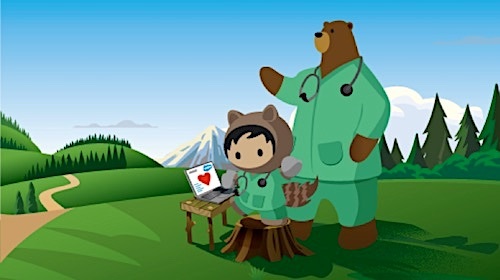 We see retailers and brands transforming into leaner, more efficient, service-led organizations, with the customer at the center of everything they do. That is the new imperative, and it is reflected here in our eight predictions for 2019. Data will be the currency of the retail renaissance. Customer data, and integration of that data across enterprise systems and touchpoints, will be a strategic imperative in 2019 as retailers accelerate their journey toward customer centricity. We’ve been talking about the importance of “customer centricity” for some time but, until now, retailers have lacked both the technology and the mandate to connect marketing, sales, service, and commerce systems to enable a 360-degree view of the customer. Now that relevant and personalized engagement has emerged as a key differentiator, retailers will finally make the investments to deliver on the promise of putting the customer in the center of everything they do. While AI will unleash new levels of intelligence to predict customer wants and needs, the underlying data is scattered throughout the enterprise and largely not actionable. 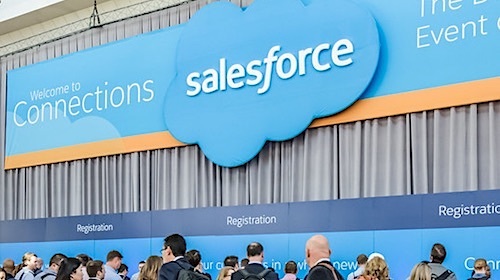 In fact, according to research from Salesforce and Deloitte, brands operate an average of 39 disparate systems to manage customer relationships, resulting in a disjointed and frustrated experience for customers. In 2019, data in these systems will be unlocked to effectively connect and access customer profiles across systems into one view so that, for instance, a service rep has a complete view of a customer’s order status and service history. Retailers must have a full picture of their customers, and act on that picture, to compete effectively. Why? Because merely competing on price (and even product) is a losing proposition. 2019 will be the dawn of a new level of customer engagement that is only made possible via mature data management and intelligence that will determine retailer winners in this renaissance. One of AI's most noteworthy contributions in retail to date has been personalized product recommendations, which help shoppers find the right product at the right time. This notion of “product findability” will get a dramatic boost in 2019 as artificial intelligence is applied to search in enormously impactful ways. Data from our Shopping Index shows that shoppers who use plain old search are 2.4 times more likely to buy; they also drive more revenue, spending 2.6 times more, compared to those who don’t use search. Imagine what the impact will be when search gets smarter — and more visual. AI-based image recognition and product matching technology will play a critical role in this. Simply put, your camera is now the new search box. We know from research that shoppers use their phones to search while browsing in stores to greater and greater degrees. This means that the camera will soon become the search box for the physical store. AI's next frontier in 2019 will be to help shoppers search through clicks, not taps. Search is becoming visual in 2019, and AI is the secret sauce to make it happen. For years, retail has aimed to get more relevant through segmentation strategies in marketing and the use of personalization in ecommerce. All the while, the true one-to-one channel — customer service — has been primarily used as a reactive engagement tool, serving footfall in stores or inbound calls and increasingly, chats in digital commerce. While 57% of shoppers choose to shop at a retailer because of customer service, sadly, the extent of customer service at most retailers is focused on solving shopper issues, like returns and exchanges. That will change in 2019, as forward-thinking retailers infuse customer intelligence into the role of the service professional. 2019 will be the year of service-led retail, where yesterday's customer service rep is transformed into an intelligent personal shopping assistant. Retailers will embrace the intimacy offered within the relationship between customer service and shopper, and train and deploy customer service representatives and even store associates into personal shoppers. This new-look personal shopper will become critical even in the marketing mix, tasked with outbound engagement that will increase loyalty and shopper frequency, in an intimate and one-to-one conversation, allowing retailers to distance themselves from irrelevant batch and blast messaging. One example: SuitSupply’s high-touch digital service engagements, which will inspire more retailers to bring relevance and meaning into the customer experience through service-led retail. This will be one of the hallmarks of the next generation of retail winners. In 2019, subscription commerce will go beyond early adopters and hit mainstream. Rather than seeing more emerging services (like another beauty box subscription), we will see more retailers and brands providing their own subscription services. Why? They want to go direct to have more control over the customer experience as well as increase margins. Further, they want to engage with and serve customers in this manner, as there is clearly an appetite. According to McKinsey and Co., 15% of online shoppers have subscribed to a replenishment, curated or access service. For retailers and brands, the barriers to entry will be reduced by technology vendors making it easy for them to launch their own services. Amazon will continue to dominate the household essentials category because of the convenience, time savings and price. Brands and retailers, on the other hand, will provide an experience differentiated by personalization, product exclusivity and even cause-based affinity. One example — Causebox, a curated collection of items made by artisans and fair trade workers, which includes a breakdown of each product, where it was made, and how it has helped local communities. The subscription market is growing quickly, but as McKinsey points out, churn rates are high. That means that brands must develop great end-to-end experiences, as opposed to great subscriptions, to accelerate growth. Finally, while venture funding in subscription commerce startups is beginning to wane, that is typically a good leading indicator for M&A activity as investors look to monetize their investments. Apps, mobile wallets, and responsive design have normalized mobile-first and even mobile-only shopping. But there's one frontier of mobile that remains largely untapped by retailers and brands: messaging. SMS has an almost unbelievable open rate of 99% when messages come from known senders, and 90% of text messages are opened within three minutes of delivery. In 2019, we'll see messaging take the spotlight as brands connect with shoppers through a few key channels: text messages and iMessage, push notifications, and apps like WhatsApp and customer service chats. Today's consumers receive an untenable amount of email, direct mail, and advertising from brands. Messaging breaks through the noise but is best used sparingly as a one-to-one communication tool for promotions and service. For example, Apple stores use SMS to notify customers of Genius Bar appointment updates. Pier 1 sends photo messages to entice customers to check out the season's latest looks. And after a shopper downloads the Kroger app, a shopper receives a welcome series via push with localized weekly ads, coupons, and more relevant incentives to keep the notifications coming. These examples paint a picture of a lucrative messaging landscape. But one aspect can't be overlooked: Trust. Customers' trust of companies remains low, as 62% of customers say they’re more afraid of their data being compromised now than they were two years ago. Because offering up a phone number or mobile app space is highly personal, brands looking to capitalize on messaging in 2019 must make the payoff worthwhile for customers — and keep opt-out options transparent. Another aspect that should be transparent is the use of chatbots. Whether customers are messaging with a real person or a bot, make that clear (a clever nickname, like the Adidas Adibot, doesn't hurt). Western and European consumers are catching on to the convenience that those in China already enjoy. North American and European consumers use a vast number of standalone technologies for an array of functions: search, payments, content subscription, food delivery, transportation, and much more. By contrast, in China, the notion of ecosystems exists whereby one app, like WeChat, gives the consumer a single access point to seamlessly experience these activities, and many more. I predict that consumers in the west will start to demand this kind of convenience. When the web became mainstream in the late 1990s, we all experienced it via the walled garden of whomever provided that access, e.g. AOL. Services and the companies providing them proliferated from that point to today's world where there is so much choice and, ironically, less convenience. Some adjustment of this incongruence is due, otherwise user experience is, literally, all over the place, with many different access points for difference services. One example of a convenient service that connects two related activities is Waze and Spotify, the latter seeking to gain access to more customers via an API. I expect more companies to take this approach and take market share as a result. 2019 will see the rise of purpose-driven retail, particularly among younger consumers who have enormous spending power. These consumers will increasingly reward companies that provide meaning beyond the transaction, and who demonstrate a commitment to values and ideals that align with their own. Shoppers vote with their wallets, and with every credit card swipe or mobile payment, they want their personal values respected. A recent survey of 6,000 global consumers showed that 55% of millennials and Gen Z shoppers were more likely to buy from a brand or retailer that offered a charitable donation with purchase. As product catalogs swell and marketing messages swirl, making the shopper relationship meaningful is the best way to break through the noise. Best-in-class brands do this through transparent messaging about sourcing and sustainability, equitable treatment of employees and suppliers, and giving back to local communities. Purpose-obsessed brands understand how data helps them understand the role they play in their customers’ lives, and they connect with and act on that data effectively. In an era where 64% of shoppers say they feel retailers don’t even know who they are, purpose-driven retail is the perfect way to show shoppers that you do know them and what they care about — and you're willing to act accordingly. One bold example? A coordinated “get out the vote” effort supported by hundreds of companies who are giving employees paid time off to vote; Patagonia is taking it a step further, closing its stores nationwide so its employees can vote. As I travel the world meeting with consumer goods companies, inevitably Blockchain finds its way into the conversation. The soundbites on Blockchain are many: it will change the world; it is a market disruptor! These statements may someday turn out to be true but it will still be too early for Blockchain to deliver widespread value for CPG in 2019. I’ve met with many consumer goods companies that have piloted Blockchain applications, but very few have made the leap to widespread adoption. The pilots are uncovering scalability issues for many CPG applications of the technology, and are running into roadblocks with the lack of integration in the existing CPG ecosystem. Both are serious drawbacks in a world where companies are looking to scale quickly and integrate data across the enterprise. Of course, the idea that a new and promising technology is grabbing headlines before value is delivered isn't exclusive to Blockchain. I think that Blockchain will eventually be applied as the right solution for some of CPG's challenges, like provenance — the origin of goods as CPG companies strive to give "farm to shelf" transparency to their customers for instance. But as with RFID (Radio-Frequency Identification) and other technologies that preceded it, 2019 is the year that Blockchain slides into the trough on its way through the hype cycle. So there you have it — our predictions for retail in 2019. For more insights from our experts, subscribe to our blog. That way, you’ll always be the first to know about the most important stuff.